Blackstone Fortress is here–stores have their demo copies and that means that information is leaking out into the wild. Today we’ve got some incredible news: the Men of Iron are confirmed to have a playable character in Blackstone Fortress. 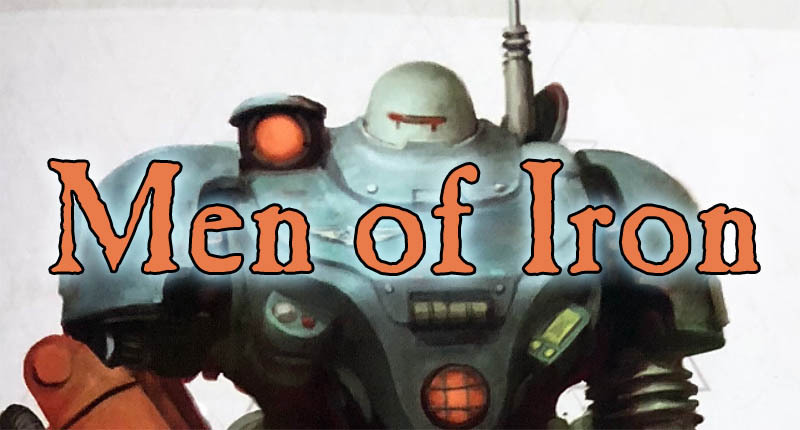 The Men of Iron were legendary sentient machines created during the Dark Age of Technology. These unstoppable warriors were Humanity’s servants right up until they turned on their masters, sparking off the Cybernetic Revolt, which is a war that is so powerful that its laws are still in effect more than ten millennia after the conflagration. The Horus Heresy is small potatoes compared to this–the Men of Iron and the war against them changed the face of the galaxy. And, according to YouTuber Chapter Master Valrak, they have a playable character in the game. Here’s the gist of it. 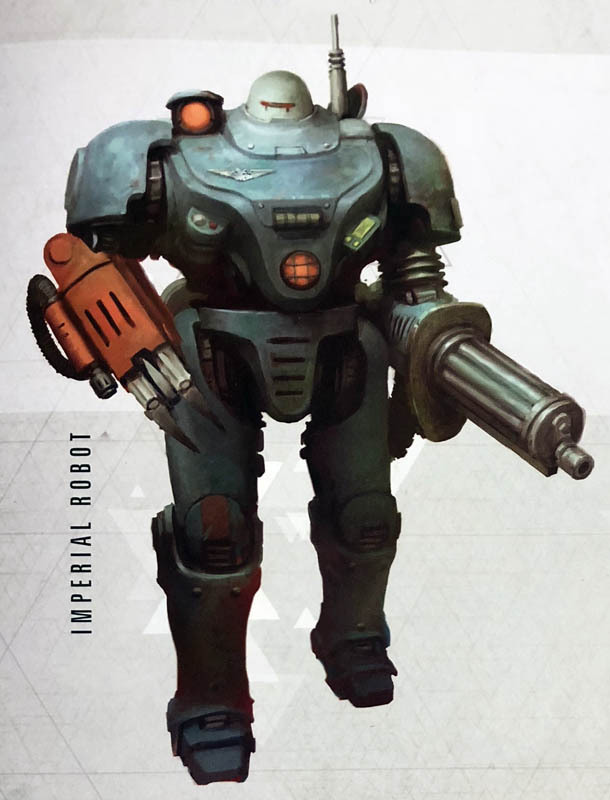 The “Imperial Robot” UR-025 is as we’ve previously heard: an Imperial Robot from older days that is employed by some Magos, and is stomping around with an interest, not in the treasures found within, but the constructs–and sentience–of the fortress itself. It turns out this is because UR-025 is a Man of Iron, and is a sentient robot. A true artificial intelligence, self-aware and everything. 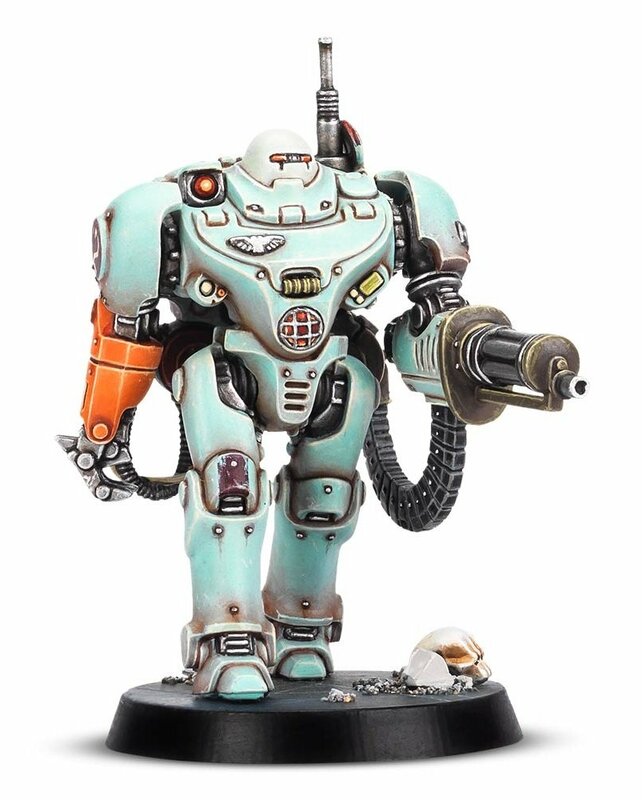 Not just Cawl’s pseudo-AI which is still heretical, but this is like the ultimate Tech-Heresy walking on two legs. 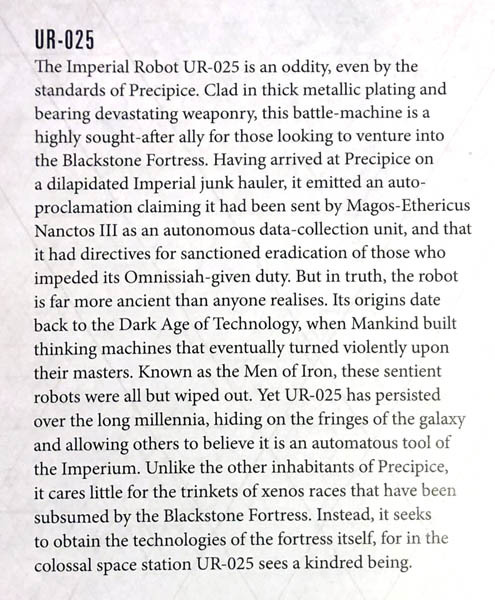 If the Mechanicus ever found out, they’d be all over this thing–assuming it was somehow able to be contained. The Men of Iron are serious business. Until shortly before the Age of Strife, the Men of Iron were loyal only to Mankind, and served as their army. They came after the Men of Stone, but before the advent of servitors. In M23, they turned on their Human masters, believing themselves superior to the Humans who relied on the Men of Iron to do virtually everything for them. What followed next was an apocalyptic conflict known as the Cybernetic Revolt, a war so destructive it made the Horus Heresy seem small in scale. The Men of Iron employed world-consuming constructs, devices that could destroy suns, weapons that could throw entire continents into the heavens, and swarms of nano-machines that covered entire planets. However in the end, the Men of Iron were destroyed by an alliance of galactic powers. It is unknown if this alliance was strictly Human. After the revolt of the Men of Iron, the use of artificial intelligence was banned as an Abominable Intelligence. Since then, labors which require mechanical intelligence or extra-human strength are performed by servitors, designed to perform pre-programmed tasks, but without independent intelligence, and carefully monitored by Tech-priests. Well let’s throw all that out. Because UR-025 is here to stay–and he’s one of many characters that might just gain access to the secrets at the heart of the Blackstone Fortress. Wellp, I’m sure there’s no way this ends badly. This has some pretty significant impact on the lore of 40K. What do you think of the Men of Iron still being present?